Now you can make a note to yourself while keeping in mind that life's a circus! Or, with the polite little hint, let's make it happen, write a reminder to a friend or loved one. Clever as it is, you might even choose to use it as a gift tag! 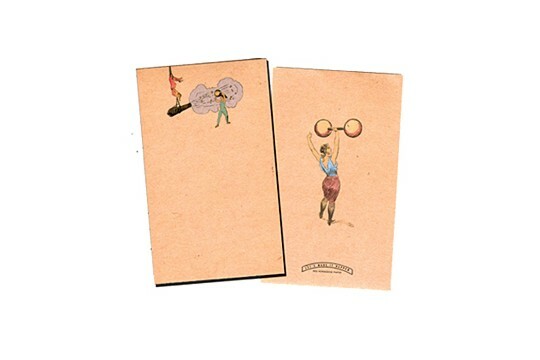 Each 3 by 5-inch mini pad contains 40 sheets, with the image of a female weight lifter with the complementary image of two women making it happen: a trapeze acrobat holds a chain between her teeth holding a canon while the other catches the canon ball in her bare hands!